Foote’s article is the death of The Vow and the era of establishment Scotland propping up a decaying regime that it represented. It also represents four further breaks: the death of Two Government Scotland; the death of the Brexit consensus; the death of the pan-Britain establishment pact; and the death of the federalist myth. The idea that we have two governments: one we elect and one we don’t – and that the first has a function to ameliorate the damage of the second – is so absurd that even the most conservative commentators are beginning to realise that this is unsustainable. We can overplay and fetishise the impact of the Vow as a means to indulge in a conspiracy fantasy. That time is over too. But this is a significant moment, and comes as a wave of new energy sweeps through the Yes movement and the reality of the Brexit crisis hits home. It will be interesting to see how Foote’s colleagues and allies respond to his uncomfortable message. It matters less what establishment Scotland thinks, than the reality that there’s lots of people “on the pavement, thinking about the government”. 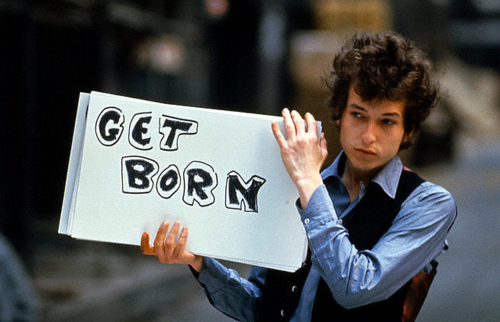 Get Born. I hope you are right that this has strengthened the wind of change and the direction in which it is blowing. Had the SNP not walked out then undoubtedly the cynical and grossly disrespectful debate on the ‘power grab’, when Mr Lidington spoke for the entire nugatory 15 minutes allowed for the ‘debate’, would have been substantially ignored by the mainstream media. The BBC Scotland political correspondent at 10.30am on Tuesday night did not even mention it. The Daily Ranger – sorry, Record – did not even mention it on the front page. The P&J and the Courier have underplayed it. However, the metropolitan media have been showing lofty disdain, with, the Guardian’s correspondent being typically condescending. Well, there is some talk about it now and we are promised a statement today by the ‘puissant’ Mr Mundell. I hope this is an event – i.e. the arrogant ‘power grab’ on Tuesday night – is like ‘you cannot use the pound’ statement in swinging a significant chunk of the electorate to independence. That resulted in YES support rising from 25% to 45%. Even if half of that switches, we are over the line. However, perhaps the Calvinism of my childhood, makes me ‘ca canny! I welcome Mr. Foote’s conversion to Yes. It is a shame though that this conversion only happened after he left the editorial position at the Daily Record, it’s almost as if the shackles have been removed. A well known Internet meme is appropriate in this situation “pics, or it didn’t happen”, just replace the first word with “reporting”. Those in the know are rightly outraged at the continuing Westminster power-grab and the trampling of devolution but far too many people don’t know what is really happening. Never mind the technical discussions about currencies, foreign policy, monarchy etc., if we had balanced media reporting indepenence would be in the bag. Full on Mike… Great article… You’re getting back to the top of your game too. The walkout was a masterstroke. It got the story top billing and gave the SNP the chance to make their case. I think even people who don’t follow politics much will still hear “15 minutes and no Scottish folk got to speak and they’re taking away powers after we said they couldnae?” I feel a tide turning. People who are already worried about Brexit now see that the SNP are the only party that looks even remotely competent and that a lot of what Yessers have been saying for a long time might have been right all along. Even the Growth Commission has been a huge positive. It’s immensely pessimistic in a lot of ways and highly technocratic, but it negates the attack line of “Sturgeon promising oil and whisky on tap.” We all have a very different vision for Scotland’s future and we can still campaign for that, but the GC says to anyone who’s dubious that, if all else fails, there’s a solid, sensible, boring, conventional plan to keep the ship afloat. In comparison to the utter failure of HMG to plan anything beyond the end of the day, we’re now in a much better strategic position. It’s comin yet for a that. Please note, friends, how Murray Foote addressed the question of the future of an independent Scotland. …and so it is… the country with most 100 topped ranked universities per capita in the world is Scotland after all if I recall correctly…. He also said “I trust in us.” Yes. Scotland is a country. Countries should choose who governs them. We trust ourselves. It would seem unfortunate that hardly any of Scotland’s nineteen universities are led by Scottish academics. All of Norway’s universities are led by Norwegians. And Norway has much less poverty than we do. Hosting supposedly ‘World class’ universities is surely rather pointless if the host nation and its people do not benefit. Green MP Caroline Lucas describes the ‘Chope and Bone Show’ in the last chapter of her book Honourable Friends? Parliament and the Fight for Change, apparently a regular “litany of obsessions and mean-spiritedness”, a double act by the Conservative MPs Christopher Chope and Peter Bone. I think her point is that if the public were aware of the appalling reality of Parliamentary practice then there would be sufficient groundswell for reform, and power wrested from “the hands of a narrow and self-interested elite”.